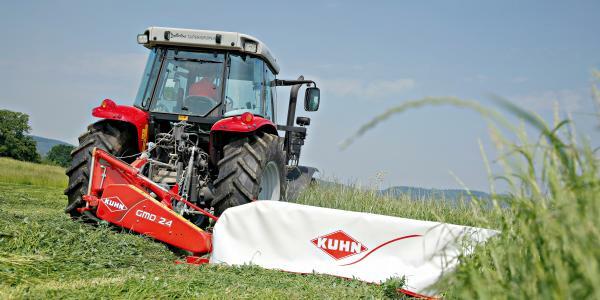 KUHN is a leading innovator in agricultural and industrial equipment. KUHN offers a broad range of hay and forage, livestock, and crop production tools, as well as landscape and road maintenance equipment. KUHN, KUHN Knight and KUHN Krause products are sold by farm equipment dealers throughout the United States, Canada and many other countries. 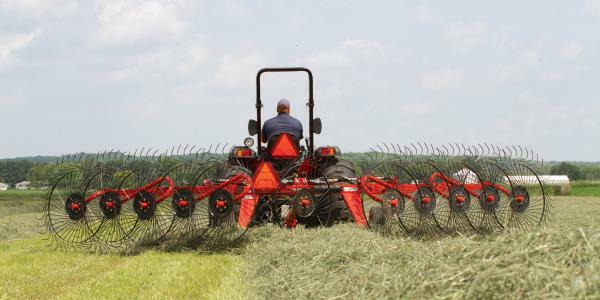 KUHN offers many choices for large or small operations to meet your hay-cutting needs. The KUHN cutterbar is joined to frame and suspension systems that have been engineered to exceed the requirements of today’s increasing horsepower and greater acreages. The low-profile cutterbar, fitted with heavy-duty discs and skids, cuts at a flat angle for a faster, smoother cut. KUHN SpeedRake wheel rakes continues to raise the bar with unmatched reliability and performance in the wheel rake market. With a continually growing product line and redesigned models, the best just keeps getting better. Along with the quality and simplicity you have come to expect, our wheel rakes combine innovative features, advanced options and refined styling to provide the most value for your equipment dollars. 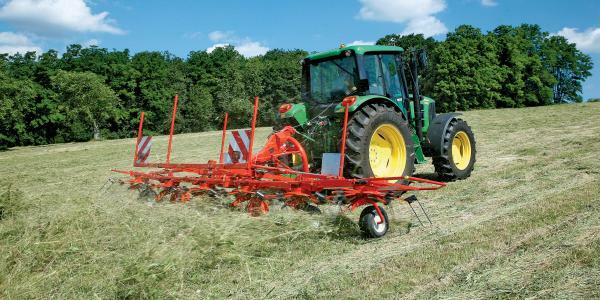 Dry your hay faster and harvest sooner with KUHN tedders. Our tedders provide efficient, uniform fluffing and smooth performance over irregular ground. Trailed models provide fast, easy and safe transport with enhanced features to get you in and out of the field faster for maximum efficiency. With a wide range of working widths, and both trailed and mounted models, we have the tedder to meet your needs. With the most complete TMR mixer line on the market today, KUHN has the right mixer to meet your needs, whether you are mixing 100% hay or 100% grain or any ration in between. The Reel Auggie and Commercial Reel Mixers provide superior mix quality. 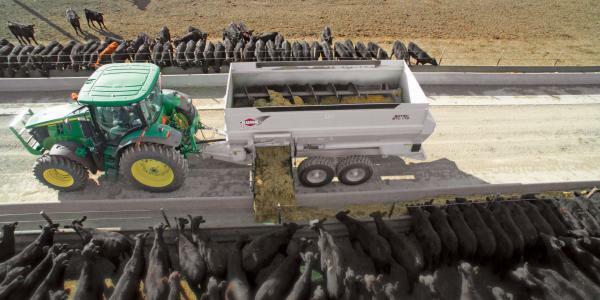 Vertical Maxx mixers mix the widest variety of feedstuffs, including round bales. The Botec 4-auger machines allow high percentages of byproducts or roughages.